I’ve read my share of Stephen King and Edgar Allan Poe. I’ve had fun collecting stones and bones on many a foggy morning and occasionally at night under a full moon. I thought it would be cool to put shark parts inside of a fish. It’s usually the other way around. Sounds creepy, but it’s not like I’m hanging out in cemeteries or mausoleums. Nor do I spend my time in candle-lit rooms drawing pentagrams on the floor and performing rituals with sharp knives and doomed goats. Gave that stuff up for lent years ago. Sharks’ teeth and bones found along the Grand Strand are stone. They’ve fossilized after being buried beneath the sands at sea. Minerals seep into surface pores and fissures of deceased marine creatures’ remnants and, for that matter, into those of mammals and reptiles swept into the ocean. The transformation takes tens of thousands to millions of years from what I understand. As I sit writing this I’m surrounded by what’s left of creatures that swam the seas or roamed the earth long before we got here to put a damper on their existence. I’ve got pieces of all kinds of creatures spread throughout my bungalow. Horse teeth. 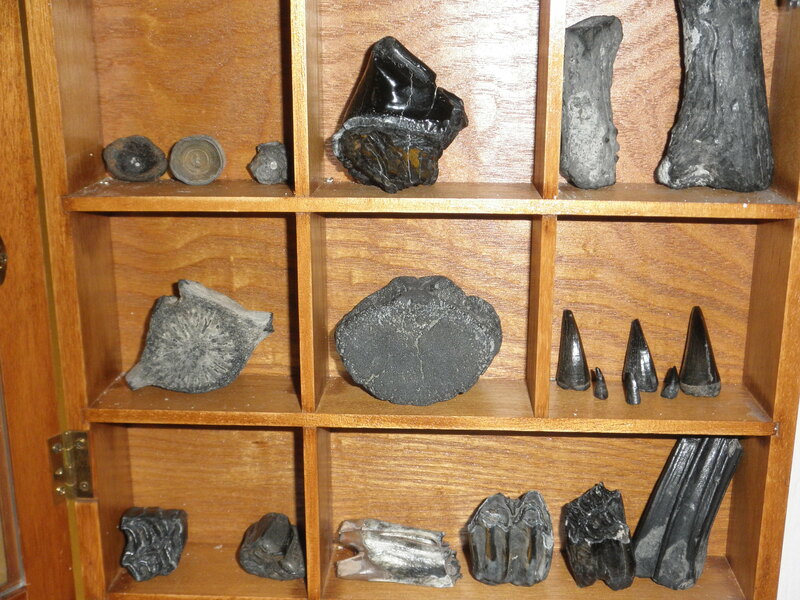 Chunks of mammoth and mastodon molars. Bison choppers. Deer antler fragments. Alligator fangs. Are we sure Noah didn’t dock here? Whale and shark vertebrae. Sea biscuits. Fish skulls. Ray mouthplates and barbs. Morbid? Maybe a little. But I’ve managed to stay out of the graveyard so far. Knock on driftwood. A raven? Nah. 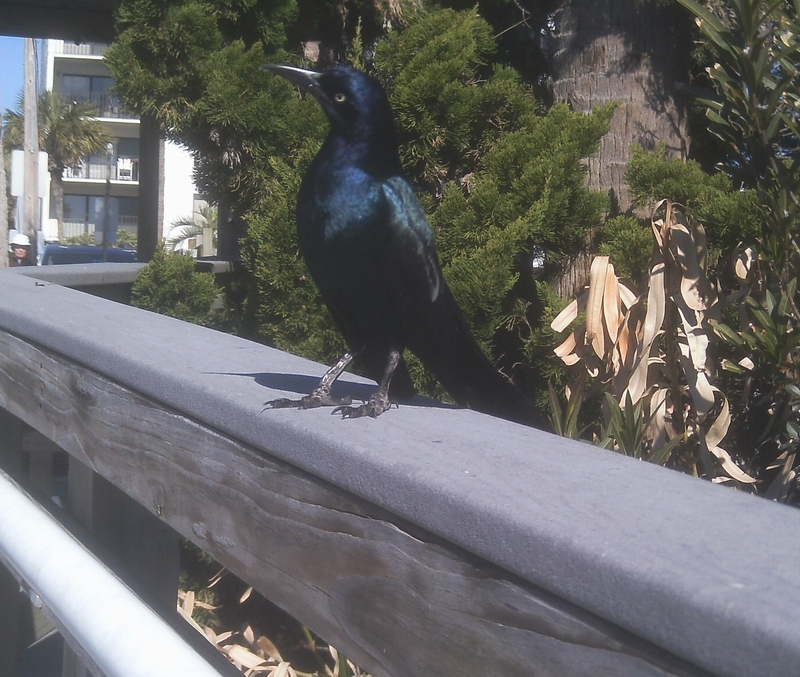 Just a grackle striking a pose at a beach access on Friday. Beachcombing is a great way to get some fresh air and keep the blood flowing. It’s also fun to encounter creatures before they shuffle off this mortal coil.